I tend to like to play a support champion. Since I'm slowly making my way to mid and high level play its getting more important to get good wards up because ganks become more common. I am therefore interested in learning how to ward effectively. What are good/important spots for wards (especially on Summoners Rift)? How do I time wards? When should I leave the lane? What if I'm using detection wards instead? Meaning that the support player should not be asked to ward top+mid+bot all the time and especially in early game. In the game (early at least), the support champion has to protect the carry at all cost. He wards for him, he buffs for him, he dies for him (NB: never die for a carry that will die no matter what you could do). Edit march'12: after watching some pro games on the Intel Extreme Masters stream, I can confirm that any team has multiple player warding there lanes. Even at the beginning to catch junglers. Edit march'13: Unless you are playing as a team, and even with a team, this will not happen. You will be sole responsible for the vision on the map (and failing to do so, putting more than your max ward capacity etc. But that is another problem). Normal setting, no advantage on the map, the battles are mainly located at mid-map. The enemy has very high usage of their bushes and intel is more important than gank protection (if affordable go for 1+2 in these cases). Note that the enemy sould have a HIGH usage of bushes for themselves (not traps). Low usage of bushes and traps can be dealt with your Clairvoyance (CV) summoner spell! When your tower is under siege, it's better to go for ward 3, as you would see gankers from 1 early enough. Remember, jungler often stops at bushes but not always. Once they are leaving the covers, it's too late. If their ganker is fast, forget the bushes and go up the river to ward. The better you know the enemy, the better you can ward appropriately. Edit march'12: With good judgement, you will managed to place the ward at the very edge of the bush, to maximise the vision range (see next picture). After more practise, I found out that good use of a Vision ward can get a tremendous advantage for your team. To be able to use this tip correctly, you will need to know better than where to ward. You need to know where do your enemy support wards! If you don't have better use for it, it's time to put your CV in action. When the support leaves the lane for a short time, pop a CV to see what he's doing. Eventually you will see him ward somewhere. From there, you can assume he will try to do so repeatedly. Once done, get a pink and get his ward off. The best is to be able to combine warding and unwarding and with practise you will be able to put them in a good warding spot which still reveals the enemy ward. Remember, a good pink ward is 125 - 75 - 25 = only 25 more gold than a green one. And I will prefer the yellow spot instead. The only interest I can credit that violet spot is for violet team which can cover river plus the forest in case of Jungler. But if you're pushing so much, you may afford to ward the tribush and the river instead. Putting an explorer ward (that ward from the season 3 mastery). It's only 1 minute and gives only 10g upon destruction, but can do the trick. Fake warding: go into a not warded bush (usually river bush is the best for this trick) and the enemy will assume you've done so to ward. Eventually they will try to unward with their pink ward. If you can put up one of this trick: mission's done. Place your own ping ward, gain 25g and a mid-term advantage on vision (you can only have one pink at start of the game). Know the common starting build price: 180g for a Faerie Charm, 125g for pink, 75g for green and 35 per potion. With masteries, you can usually go for Faerie Charm, 1 pink, 2 green and 2 potions. Another method to gain the ward war: be sure to have more pinks than your enemies. It's basic mathematics. If you have one pink more than them, they can't deny you vision. You land your pink, they unward, you unward (repeat as many as necessary). How could you lose this? You need your carry to be aware that two pinks will be up. If you can defend your pink, you will win. Fail to do this and you will lose, even with one more pink. When facing invisible enemies, you may want to go pink as soon as they start being annoying by being hidden too much. 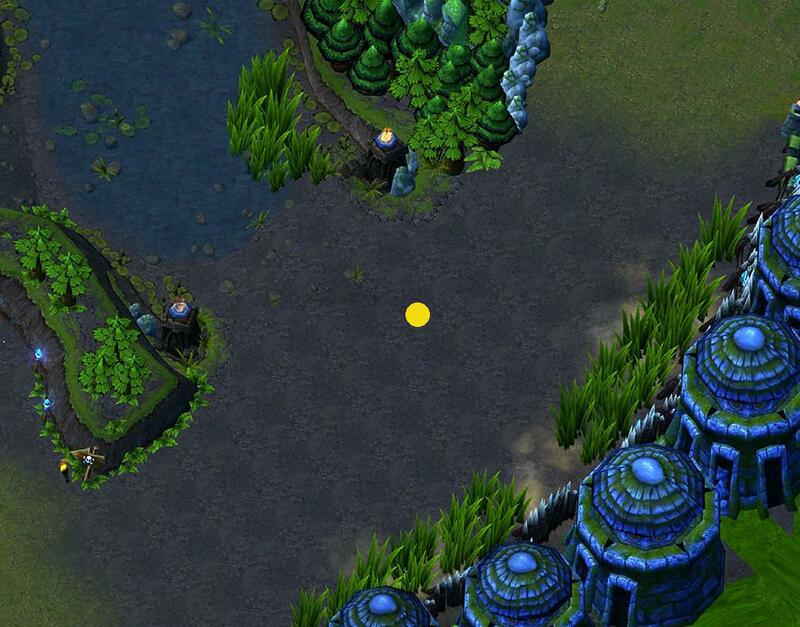 The following two spots should cover the missing gap after your turret to the mid-map. Remember, the support has to protect his carry! So if you're ganked by invisible laning enemy and can't ward the river, just forget it. 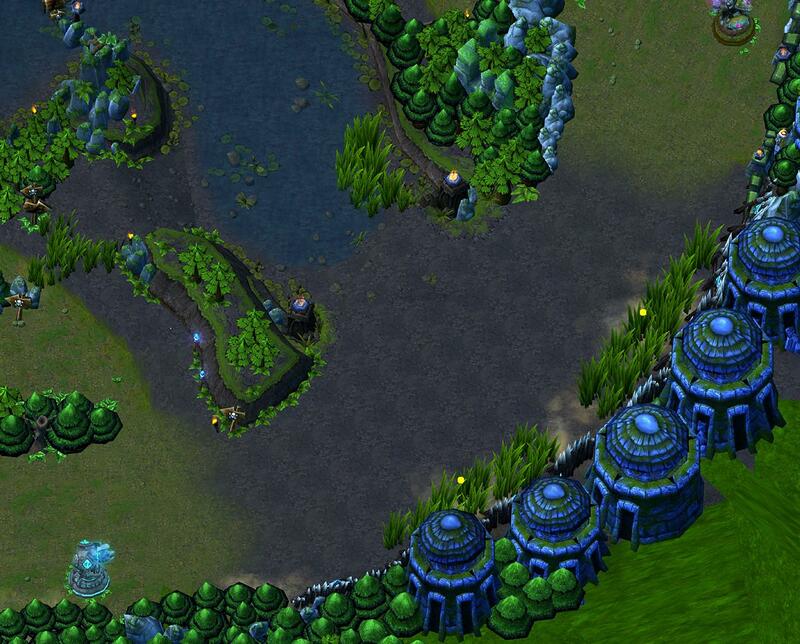 Protect the local area from the laning enemies, don't push too much and use your CV. And if your carry is good enough, he might actually be able to get some kill that will surprise the stealth champion. After the laning phase, having a pink ward is also an easy and cheap counter to strong invisible champions like Akali. She pops her shroud and think she's invisible? Pop your pink in the middle (near is enough, but you probably will have your cursor in the middle of her shroud), et voilà! Almost guaranteed instant kill. This tip does not work so great with Shaco. The bigger map show multiples points. Red one are for attack, blue for defence and yellow for special. Let's talk about yellow first. On attack, you have the advantage and you need directions intelligence. If you can predict where the defenders are going, you are able to track them. Critical positions are red and blue bush. Defenders will try to get any advantage to counter the rushes you put on them. Denying red and blue is good for you. Small bushes near the wraiths is also a good indicator to protect you from being flanked. Sometimes a ward in the enemy base is very practical to ensure they are still defending against super minions while your are killing the Baron. On defence, you need to see the attackers as much as possible. So ward positions differ from the attacker's one. For our objective we do not want to control directions anymore, but positions. Note that the soft blue spot indicates places you can ward from defensive positions (over trees, or wall) if you can't afford putting a better ward. Every time I pushed my lane and know I won't be able to do heavy damage to the turret and the supported champion in not in immediate need of support, I go refresh some wards. It is critical to have a good sense of timing. If you can anticipate ward expiration, you would be able to refresh it at the best possible time. When you switch lane for some reason, be nice: drop ward for your new lane friend(s). If you are losing your lane, it means you are weaker. And weaker lanes are prime target for ganks, as they provide easy kills. By that time, you should be gathering with your team. Use any occasion when your are moving with your team to leave ward behind you. Do small detour when necessary, but not too much. I never go warding alone on late game unless I'm sure I'm not going to be cornered in the forest. The ward is not worth your death! Avoid warding when you can be seen (it's always better to stay under the radar): delay, use confusion or change position if you can afford it. If you are playing support, ward is your first and your last item, it appears in the tab menu and in the statistics. My build uses gold items, so I buy the first element for it and 3 wards at start. Then I always try to buy ward when at the base (at least 3 if I really need other item badly). Don't delay buying wards or you won't. When you run out of ward, notify it. Refill when you can: 5 wards are 375gp. 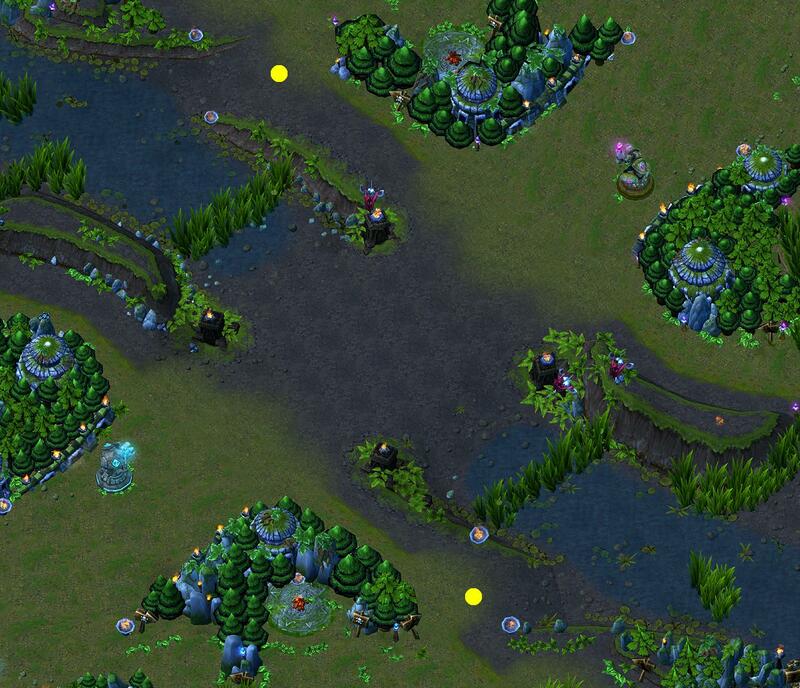 Edit march'13: If you claim to be a good support, never go out of the fountain without ward. If you can't buy an item because you bought wards instead, it is perfectly normal! Sightstone and ruby sightstone are two new items introduced buy the season 3. The latter is an upgrade of the former. Sightstone works by providing a self-replenishing stock of green ward. You can keep a maximum of 4 wards (5 with ruby stone) and put up a maximum of 2 live ward at a time (3 with ruby stone). Any subsequent ward placed after this maximum will automatically remove the oldest ward. The item cost 950g. It is paying for itself after 3 recalls (the pool is worth 300g of wards). This is huge! Furthermore, it provide more health points, making it a must have for any squishy support (like Sona, Nami etc). Besides, it allow for more situational warding. Should you put a temporary ward somewhere, it will remove an old one, which should be less important at this time than the new one you set up. What does it cost you? Nothing but time. So two words about the sighstone as support: BUY IT! The last words I can drop here too are for vision wards and CV. Vision ward are expensive, but they could be useful sometimes to uncover invisible heroes. My view on this is : every invisible heroes tends to hide in bushes before going stealth, at least in early games (to maximise stealth time), thus falling in our sight ward intel. Furthermore, stealth is detected by towers. I honestly rarely use those wards. And they are outmatched by a good oracle late game. But should I use them, the placement differs from normal sight wards. Objective here is to cover the largest valuable area. This can be problematic on top and bot lanes, as we would be interested in covering bushes but that renders half the ward area useless. Clairvoyance summoner spell is very useful. Use it every time you can. With a 55 cooldown reduce at 50 by Mystical Vision mastery, you can literally spam it. On early game, a well placed CV (see picture) should be able to reveal all bushes. If you do not need CV on your lane, use it on other lanes. Try to know if teamates could use it, especially junglers. If nobody needs it, check reds/blues for enemy jungler and dragons to be sure the enemy is not looking at them. If you are only protecting your jungle, use it to cover your jungler from being gank before start. If you don't have CV, you can't get insight of what the enemy support is doing, including where she is warding. Unwarding is then a mix of timing, knowledge and luck. Usually, you can get a good information by counting how long the enemy support is MIA. Short time means river bush, or that other point I don't really like. Long time means dragon. ward of the dragon if the support has been too hasty and put it too low. Warding is always a risky operation. You never know when another player/jungler will show up. Maybe someone is hiding in the bush. There may be some case for which warding is more valuable than your life. In that case, be sure to put your ward! I think I'm done now. Good luck. High traffic areas. Anywhere 3-5 paths meet, or you notice enemies running through a lot. Bushes where you expect ganks to come from. For top/bot, this is the bush by the river. Neutral minions. Dragon and Baron are always good choices. If you notice your blue/red is being stolen, you can ward it too. Before attacking Baron, it's useful to drop wards to detect enemies coming to gank your team. It's best to buy wards whenever you would normally go back to base. It's common for junglers to gank at lvl 4 (and sometimes 2), so you need wards very early on in the game (preferably the first time you go back). It's common for support characters to start with a ward. Vision wards are important early if there's an enemy champion who goes invis. They are also useful to check for other wards; a common tactic is to drop a vision ward at baron to check for enemy wards before killing him. Toast and M'vy are correct. Visionwards, aka "pink" wards, have specific but necessary uses as Toast hinted at. Are you dealing with a stealth character like Twitch or Eve? You'll probably want to have one active in lane to help prevent ganks. To a lesser extend these help in dealing with characters like Akali and Shaco. 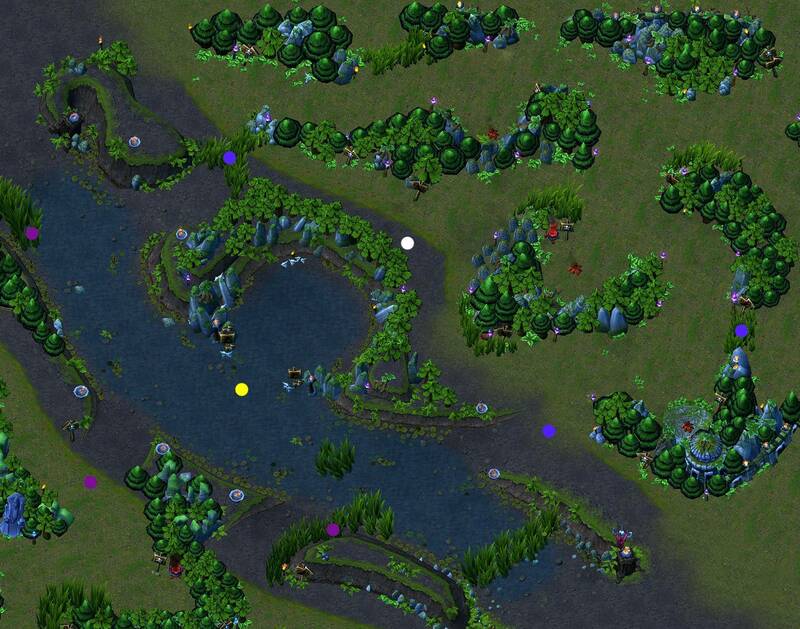 Note that once you get out of laning, or if you are having to fight randomly all over the map, vision wards are far less useful because fights tend to spread out. If your team needs to be mobile and needs the detection, it's oracles time. If you want to see if the enemy is doing warding. This is expensive and a waste of money if you are doing it all over the map. That said, it's useful at Baron and sometimes at Dragon. If any enemy wards show up, kill them (and recoup some of the cost!). 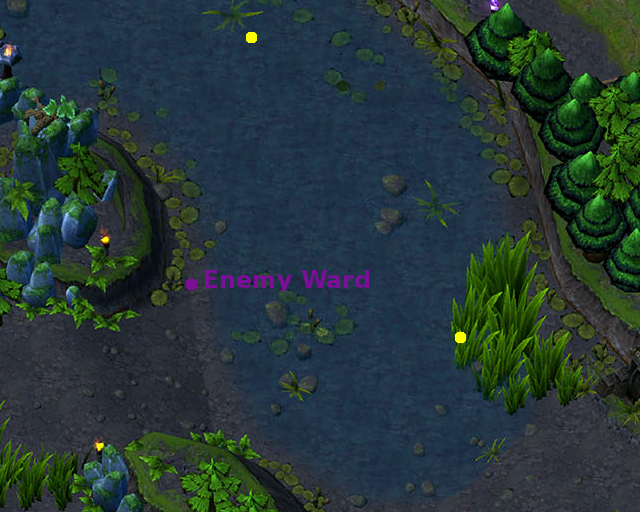 If you are repeatedly getting ganked/having trouble in specific parts of the map, drop a pink ward and see if you can take away the enemy's eyes. Be aware that a very common but ineffective strategy for ward placement near Baron, is to place the ward directly under Baron Nashor, to avoid being detected by champions equipped with either pink wards or oracle's elixir. The reason this doesn't work, is that a-clicking into Nashor's lair, will not target the neutral Nashor, but will automatically target any of the hidden wards underneath him. Where are the best places to put a ward and could visible wards be better over oracle elixers? How much should we spend on wards? 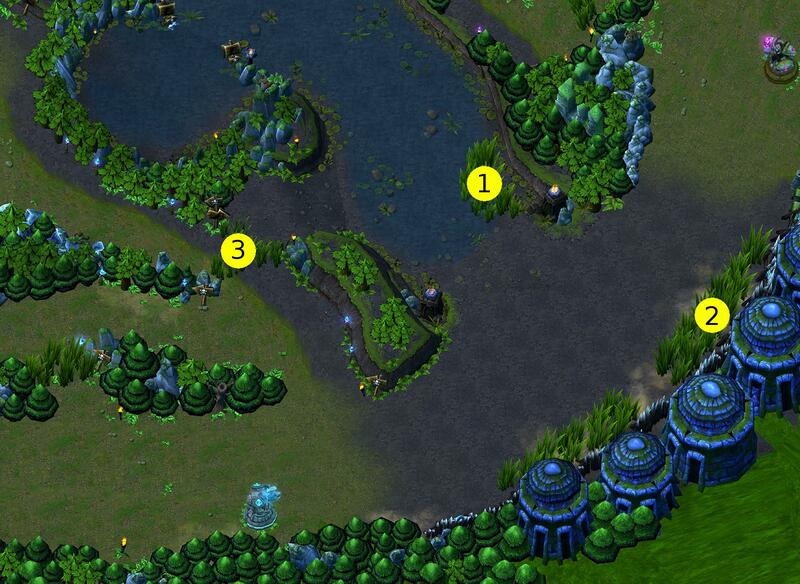 What are the most strategic spots to ward on summoners rift? What are the roles of supports in team fights? When to buy an Oracle? How to further my playing of Jungle Lee Sin? When should I transition new champs from Bot games to Normals? As a jungler when should I push the lane after a gank? What are support duties in LoL compared to DotA?